Cosmetic dentistry generally addresses the superficial aspects of a patient's mouth. When considering cosmetic work, it is crucial to tackle any dental health concerns before starting treatment. 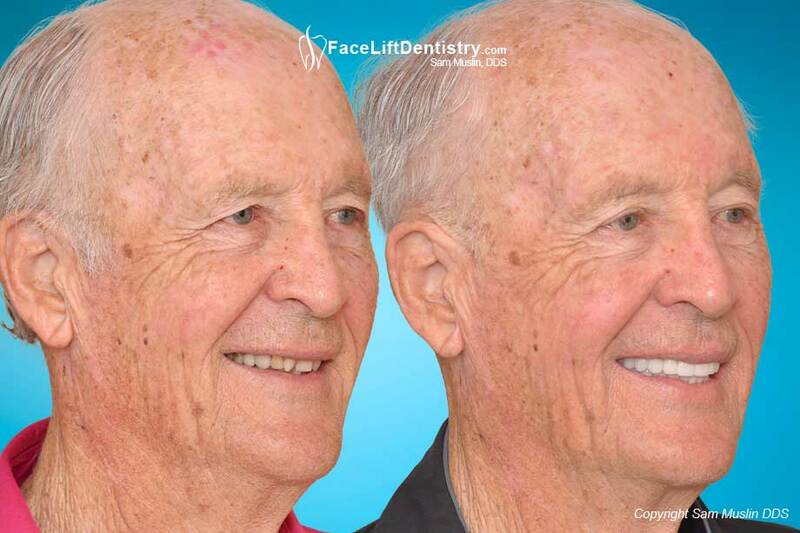 Cosmetic dentistry can usually make you look better, but the results won't last long if there is an underlying gum disease, severe bone loss, dental decay, bad bite or bite collapse. This Yorba Linda patient suffered from an underlying gum disease problem with severe bone loss and bite collapse. 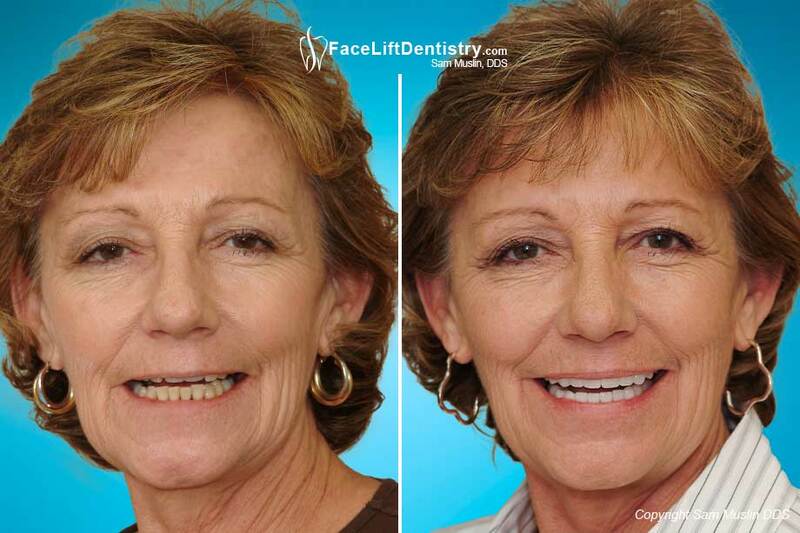 She spent many years feeling very self-conscious about her dental health and smile. 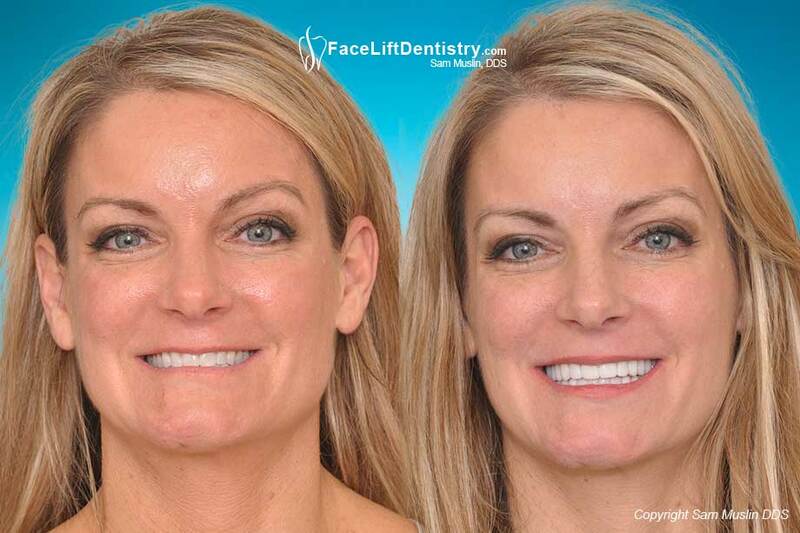 Fortunately, she had seen a segment on cosmetic Face Lift Dentistry® featured on KTLA morning news and knew that Dr. Muslin was the right choice. 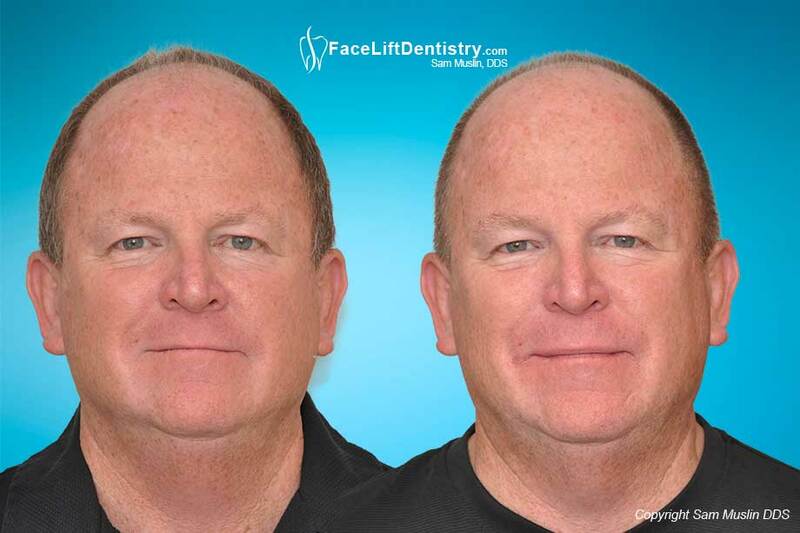 This patient needed Face Lift Dentistry ® which rejuvenates a patient's face by working on the teeth to add support to the lips and face. 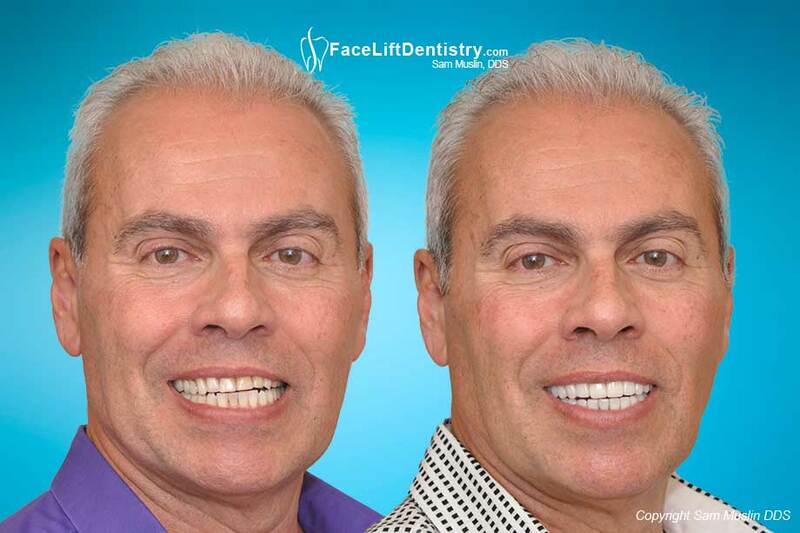 While cosmetic dentistry is just an aesthetic improvement, Face Lift Dentistry ® is a non-surgical face lift, which maximizes dental health, appearance and patient comfort. Best of all, the results are immediate and long lasting. 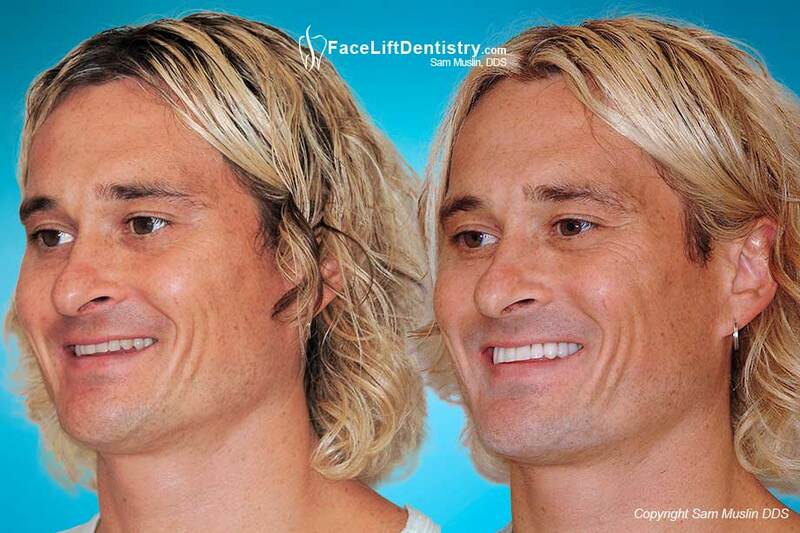 Santa Monica cosmetic dentist Dr. Sam Muslin is currently the only dentist offering this method of treatment. Treatment involved dental implants and fixed porcelain bridges to replace her missing teeth, porcelain crowns, non-surgical gum treatment plus periodontal surgery for her health. Her upper teeth lengthened and the lower teeth shortened. Sherlene's bite was raised to physically lengthen her face and support her lips. 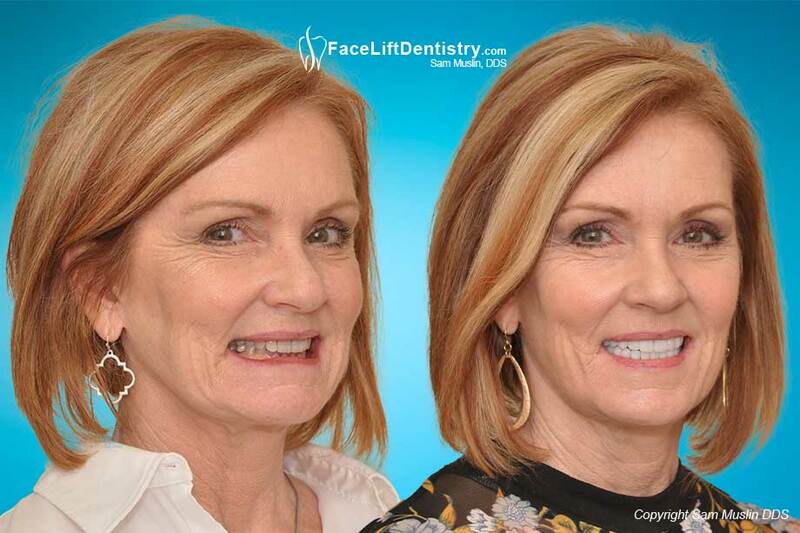 Her entire face is revitalized and now has a wider, fuller smile, white teeth and balanced facial dynamics. I had a very positive experience with Dr. Muslin and all of his staff. I am happy to say that with the extensive dental work I had, there was little to no discomfort. I feel better and I have my smile back, new and improved. I couldn't be happier and I am absolutely thrilled. She relayed a story about being at a dinner with a long time male friend who thought she looked great but could not figure out what was different. He asked, "You look so great, what did you do?" She said, "Well, I just went to the hair dresser and maybe she overdid the highlights." "That's it, that's it," he says, "you look so great you should always keep your hair that color!" She laughed to herself, knowing her hair is exactly the same color and thought, "Thank you Dr. Muslin".